Isro’s Mars Orbiter Mission (MOM) on September 24 achieved a significant milestone as it completed three years in the Martian orbit. On Monday, the space agency announced the release of the MOM second year science data. Isro released MOM second year science data from September 24, 2014 to September 23, 2016, and it has been made available for users, who have registered with the space agency to access the data. ISRO launched MOM on November 5, 2013, and a year later on September 24 after completing a 300-day journey, it got inserted into the Martian orbit. Isro had won accolades among the space faring nations at as MOM was the first Mars mission in the world to succeed Mars Orbit Insertion in its first attempt. Though it was intended to have a mission life of only six months, the mission defied all odds and in June this year, MOM completed 1,000 Earth days in the Martian orbit. 1,000 Earth days corresponds to 973.24 Mars Sols (Martian Solar day). Its 1,000-day stay at the Martian orbit was also eventful as MOM went through a communication ‘blackout’ as a result of solar conjunction from June 2, 2015 to July 2, 2015. It also experienced the ‘whiteout’ geometry during May 18 to May 30, 2016. A ‘whiteout’ occurs when the Earth is between the Sun and Mars and too much solar radiation may make it impossible to communicate with the Earth. The spacecraft emerged out of both the blackout and whiteout period successfully. Last year, Isro released the MOM’s first year (September 24, 2014 to September 23, 2015) data. Bengaluru, Sep 25 India's rendezvous with the red planet continues as its celebrated Mars Orbiter Mission (MOM) completes three years in orbit. "As the country's low-cost Mars Orbiter Mission completes three years in its Martian orbit, the satellite is in good health and continues to work as expected," the Indian Space Research Organisation (ISRO) said. The scientific analysis of the data received from the Mars Orbiter spacecraft is in progress, ISRO Public Relations Director Deviprasad Karnik told PTI. The country had on September 24, 2014 successfully placed the Mars Orbiter Mission spacecraft in the orbit around the red planet, in its very first attempt, thus breaking into an elite club. ISRO had launched the spacecraft on its nine-month-long odyssey on a homegrown PSLV rocket from Sriharikota in Andhra Pradesh on November 5, 2013. It had escaped the earth's gravitational field on December 1, 2013. 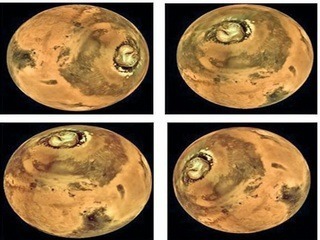 On the occasion of completion of three years of MOM in its Martian orbit on 24 September 2017, the space body today released MOM second year science data from September 24, 2014 to September 23, 2016. The space agency had earlier launched MOM Announcement of Opportunity (AO) programmes for researchers in the country to use MOM data for research and development. Citing surplus fuel, ISRO had in March, 2015 announced that the spacecraft's life had been extended for another six months. Later in June, 2015, its chairman A S Kiran Kumar had said it had enough fuel for it to last "many years". The Rs 450-crore MOM mission aims at studying the Martian surface and mineral composition as well as scan its atmosphere for methane (an indicator of life on Mars). 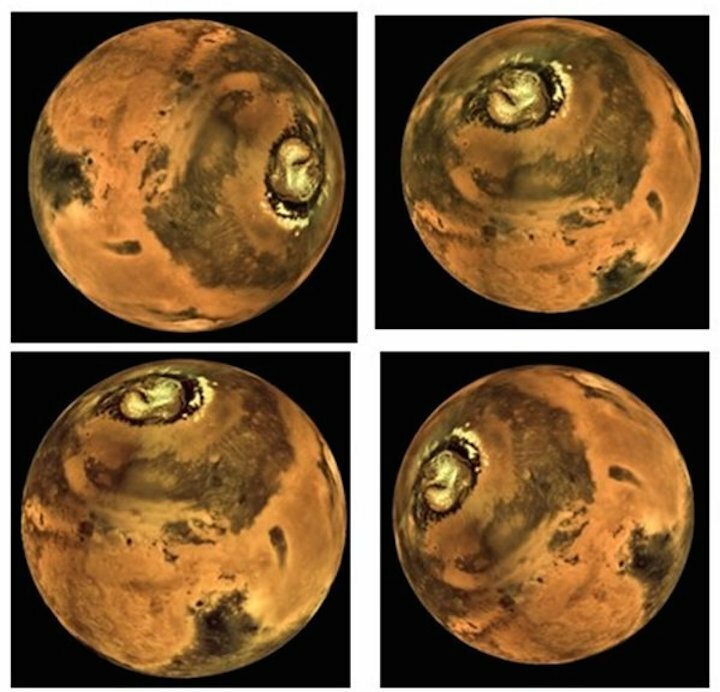 The Mars Orbiter has five scientific instruments - Lyman Alpha Photometer (LAP), Methane Sensor for Mars (MSM), Mars Exospheric Neutral Composition Analyser (MENCA), Mars Colour Camera (MCC) and Thermal Infrared Imaging Spectrometer (TIS). The Mars Colour Camera, one of the scientific payloads onboard MOM, has produced more than 715 images so far, ISRO had said. During its journey so far, the mission went through a communication 'blackout' as a result of solar conjunction from June 2, 2015 to July 2, 2015. It had also experienced the 'whiteout' geometry phenomenon (when earth is between the sun and Mars and too much solar radiation makes it impossible to communicate with the earth) from May 18 to May 30, 2016. An orbital manoeuvre was also performed on MOM spacecraft to avoid the impending long eclipse duration for the satellite, ISRO said. The government had in November last said the space organisation was seeking scientific proposals for Mars Orbiter Mission-2 to expand inter-planetary research.